A giant iceberg, a quantum-entanglement experiment and the death of a spacecraft are among the year’s top stories. From political chaos to cases of sexual harassment, scientists have had a tough year. But there were also bright spots, including approval of a new type of cancer treatment and the detection of gravitational waves from a neutron-star collision. This year marked the start of a new era in astronomy: one in which scientists can study celestial phenomena through the radiation they emit and the ripples they create in space-time. On 16 October, researchers revealed the first observations of the collision of two neutron stars. This confirmed detailed predictions of how such clashes created some mysterious γ-ray bursts and also most of the Universe’s heavier elements, including gold and uranium. Physicists detected the collision’s ripples in the form of gravitational waves. And more than 70 teams of astronomers watched the aftermath using telescopes to monitor everything from γ-rays to the radio-frequency spectrum. The US-based Laser Interferometer Gravitational-Wave Observatory (LIGO) and Virgo, its counterpart in Italy, were crucial to the discovery. Virgo had come online only on 1 August after a five-year shutdown for upgrades: it dramatically improved researchers’ ability to locate the source of the gravitational waves and to observe them. Quantum communications also made strides in 2017. 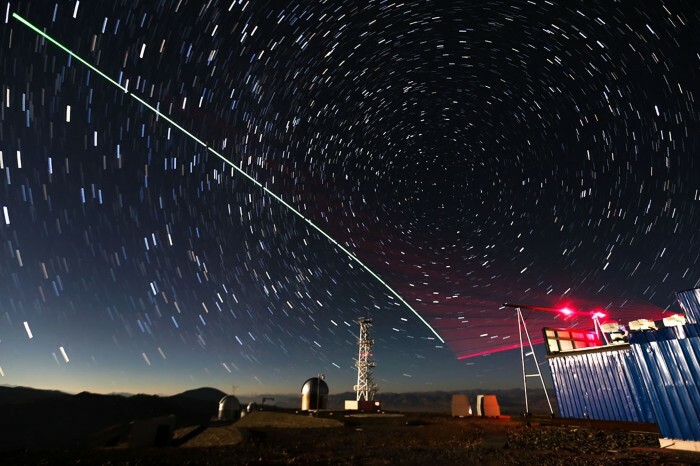 Chinese researchers announced on 15 June that they had shot pairs of photons from the Micius satellite to two ground stations located more than 1,200 kilometres apart. This broke the record for the distance over which particles can remain linked in an ‘entangled’ state, such that manipulating one particle affects the other. It also enables feats including quantum teleportation, and could provide the basis for an as-yet-unrealized quantum internet. And in a year in which political crises threatened to rip the world apart, an unprecedented scientific collaboration got under way in the Middle East. SESAME, the Synchrotron-light for Experimental Science and Applications in the Middle East, was inaugurated on 16 May. Project members of the region’s first X-ray source include Jordan, the Palestinian Authority, Israel, Cyprus, Egypt, Iran, Pakistan and Turkey. SESAME’s first beamline, designed to investigate the properties of materials and archaeological artefacts, went live in November; three more are scheduled to start by the end of 2018. US President Donald Trump took office on 20 January and quickly made his mark on science. On 27 January, he signed a sweeping executive order that banned citizens of seven majority-Muslim countries from entering the United States for 90 days — stranding some researchers in transit and leaving many others fearful that they would have to abandon studies or jobs at US institutions. Trump later modified the ban twice in response to court rulings that limited its scope, and lawsuits against the latest version of the policy have reached the US Supreme Court. 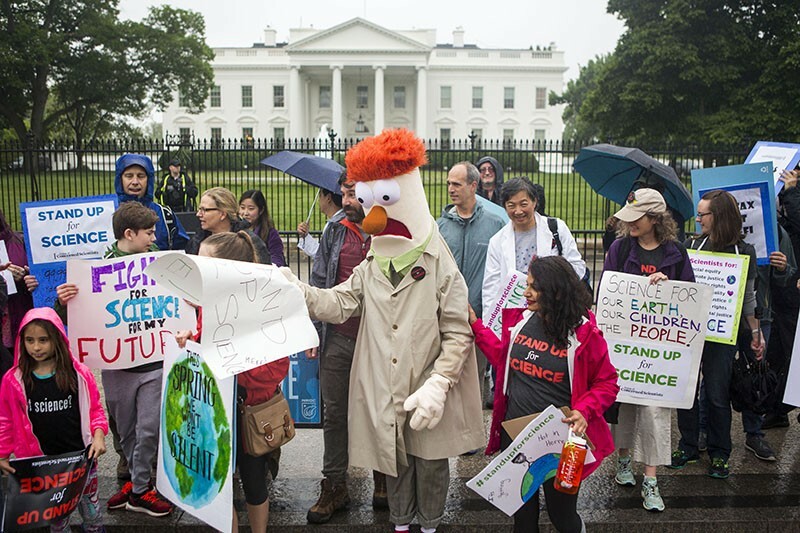 In March, Trump previewed his budget proposal for the 2018 funding year, calling for steep cuts at the National Institutes of Health (18%) and the Environmental Protection Agency (EPA; 31%). Congress has so far resisted pressure from the White House to make many of the reductions that he has sought. As the year drew to a close, Trump set a record for going longer without a science adviser than any first-term president since at least 1976. At the time Nature went to press, he had not yet nominated anyone to fill the job, which often includes leading the White House Office of Science and Technology Policy. That office now has about one-third the number of staff members it had under the previous president, Barack Obama. Trump’s tumultuous first year has inspired a wave of activism among researchers. In January, scientists were among the hundreds of thousands of demonstrators at the Women’s March in Washington DC. Three months later, researchers massed in the city for the March for Science, one of hundreds of similar protests around the world. This year also saw a surge in the number of scientists running for public office in the United States. The shadow of the United Kingdom’s decision to leave the European Union loomed over that country’s science this year. In March, the UK government shocked researchers by confirming that it would withdraw from Euratom, a European agency overseeing fusion research and nuclear regulation. Scientists continued to report being cut from EU collaborations and losing colleagues to other countries. And in September, the government released a policy on science and Brexit that outlined goals for negotiations but contained few specifics. However, campaigners cheered a decision to allow EU nationals to remain in the United Kingdom once it leaves the union, and a pledge to increase research and development spending from 1.7% of gross domestic product in 2015 to 2.4% by 2027. On 20 November, the government took a step towards that goal when it announced that annual spending rises would continue to 2021–22. The political climate for research in Europe, South America and East Asia was a mixed bag. Leaders in France pledged to increase science spending, and Canada resurrected its chief science adviser position after nearly a decade without one. Science enjoys broad support in Germany, but the breakdown in November of talks to form a coalition government left the country’s politics in turmoil. Brazil’s ongoing political and economic chaos resulted in the lowest science budget the country has seen in 12 years. Scientists in Japan worried that stagnant research funding could undermine the future of the country’s research, despite the government’s continued push for innovation. China’s president promised to transform his country into “a nation of innovators”. The country’s government introduced policies in clinical medicine to fast-track new drug approvals as well as tough penalties — including prison — for people who submit faked clinical-trial data. Trump remade his country’s environmental policies. In June, he announced that the United States would pull out of the 2015 Paris climate accord. Later in the year, the EPA moved to begin repealing former president Barack Obama’s landmark regulations to reduce greenhouse-gas emissions from power plants. The agency also barred scientists who have current EPA grants from serving on agency advisory committees. In August, the Trump administration disbanded a federal advisory committee that was intended to help businesses, states and local governments make use of the next national climate assessment, due in 2018. 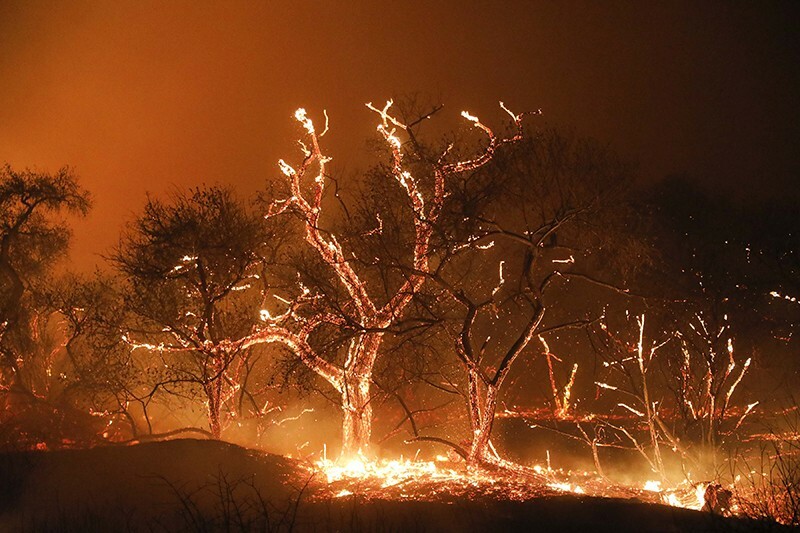 The first part of the report, a 477-page analysis of climate science that was released in November, concluded that humans are the dominant cause of global warming. In Europe, a battle over logging in Poland’s Białowieża Forest, a World Heritage Site, raged throughout 2017. 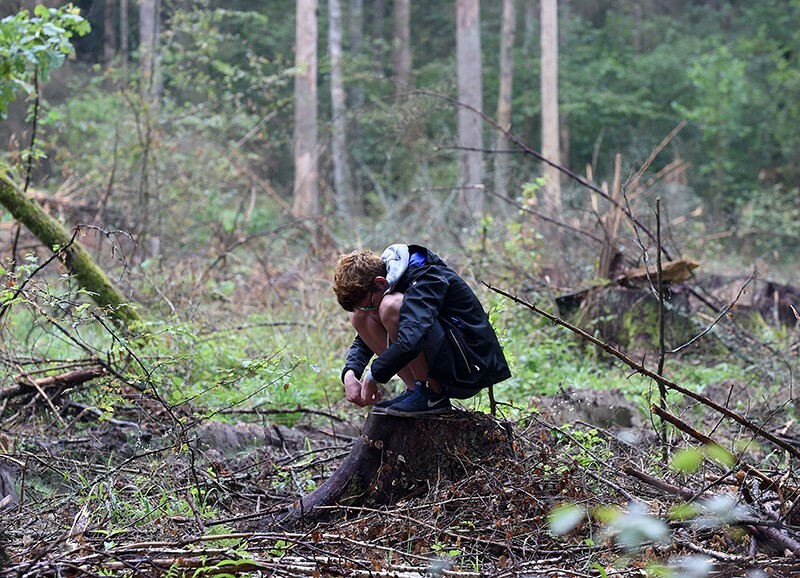 In July, the European Court of Justice (ECJ) issued an interim ruling that ordered the Polish government to immediately cease active forest management — including felling trees — in the area unless there was a threat to public safety. The government says that logging and removing dead wood, which continued despite the court order, is necessary to fight an outbreak of spruce bark beetle. The ECJ announced on 20 November that it would impose a penalty of at least €100,000 (US$118,000) per day, which could begin accruing as early as December, if the country failed to comply with the ban. This year saw the first approval of a sophisticated cancer treatment called CAR-T cell therapy, which involves genetically engineering a patient’s own immune cells to target tumours. Although the treatment has raised daunting safety concerns, the US Food and Drug Administration approved it in August for use in children and young adults with a form of acute leukaemia. January brought with it the first peer-reviewed report of fetuses that contain both pig and human cells. The hybrids could pave the way for producing animals with organs that can be transplanted into people. Gene editing for clinical use in assisted reproduction leapt forward in 2017, with six studies that quadrupled the total number of papers on the topic. In August, a team announced the first use of the CRISPR–Cas9 gene-editing system to repair a disease-causing mutation in viable human embryos. The researchers demonstrated that the technique was safe, and said they saw no evidence of side effects such as unwanted mutations. But their results prompted concerns over the interpretation of the data. Then, in September, another group reported fixing human embryos that carried the gene for a recessive blood disease, in which both copies have the problematic mutation. The team cloned embryos from human skin cells, and then edited single bases in the DNA to correct the defects. This year also saw a 15-month gene-editing controversy come to an end. In May 2016, Chinese researchers described a new gene-editing method that used an enzyme called NgAgo, and said that the technique had several advantages over CRISPR–Cas9. But soon afterward, reports emerged claiming that the work was irreproducible. The study authors retracted their article this August. Scientists embroiled in the CRISPR–Cas9 patent fight, however, found no such closure. In February, judges at the US Patent and Trademark Office determined that the Broad Institute of MIT and Harvard in Cambridge, Massachusetts, could keep its patents for the use of CRISPR–Cas9 to alter genomes in some cells. But the opposing parties — including the University of California system — quickly filed an appeal that will drag the dispute into 2018. And in July, researchers finally got a look at one of the largest troves of genetic data ever assembled. The UK Biobank released genome data from its 500,000 participants, along with information about their health and traits, such as hand-grip strength and education level. The data, available to approved scientists, enabled one team to conduct more than 2,000 genome-wide association studies assessing the heritability of various traits and diseases. 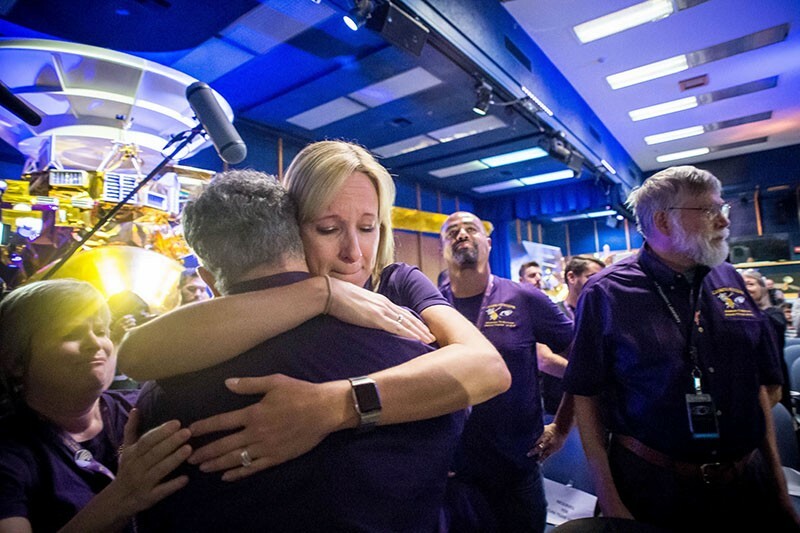 NASA’s Cassini spacecraft met its end on 15 September. Scientists and engineers at the Jet Propulsion Laboratory in Pasadena, California, watched an incoming radio signal dwindle and die on a computer monitor as Cassini burned up in Saturn’s atmosphere. After 13 years exploring the ringed planet, the spacecraft was nearly out of the fuel that engineers needed to steer it. So NASA decided to crash the craft rather than risk it slamming into one of the moons, such as Enceladus, which might harbour extraterrestrial life. Cassini investigated Saturn’s powerful storms and ever-changing rings, while also discovering hydrocarbon seas on the moon Titan and salty jets spraying from Enceladus. Soon after Cassini’s swan song, an unexpected visitor graced the Solar System. In mid-October, astronomers in Hawaii spotted what looked like a fast-moving asteroid but with an orbit unlike anything seen before. Dubbed ‘Oumuamua, the 400-metre-long celestial body turned out to have come from interstellar space, the first such object ever recorded. But almost as soon as ‘Oumuamua arrived it was gone, zipping past the Sun and back into deep space. Earlier in the year, much more distant objects sent a buzz through the astronomical community. In February, scientists reported the discovery of seven Earth-sized planets orbiting a star called TRAPPIST-1, just 12.5 parsecs (41 light years) from the Sun. The TRAPPIST-1 system stands out for its sheer number of small planets, all in relatively temperate orbits. This makes them some of the most intriguing worlds to scrutinize through telescopes in coming years — and to dream of for interplanetary visits. Here are this year’s most cited original-research papers (as of December), plus the papers that attracted the most social-media attention, the most-cited arXiv preprint articles and the most-viewed bioRxiv preprint articles. The data are arranged by quarter. From Hollywood producer Harvey Weinstein to US journalist Charlie Rose, sexual-misconduct secrets spilled out into the open in 2017, sparking discussion and raising awareness around the world. Science was no exception. In August, the University of Washington in Seattle fired prominent microbiologist Michael Katze for violating university policies, including those prohibiting sexual harassment and conflicts of interest. At the start of the dispute in 2015, Katze sued university officials for removing him from his laboratory — a case he lost. By the end, one university investigation concluded that Katze had sexually harassed two employees under his supervision, and a second investigation found he had asked staff to run personal errands for him, among other alleged conflicts. Katze did not respond to a request for comment. In September, the University of Rochester in New York was rocked by protests after news outlets reported on its handling of allegations against faculty member and cognitive scientist Florian Jaeger. The university twice investigated allegations that Jaeger had sexually harassed students and postdocs and created a hostile work environment, and twice found that he had not violated the school’s policies. Seven current and former faculty members, along with a former graduate student, made the complaints on behalf of students and postdocs. Unhappy with the university’s findings, they took the allegations to the media and filed a federal lawsuit against the university on 8 December. University officials set up a new committee to investigate; the results of which are expected by 12 January. They have declined to comment until then. Jaeger and his lawyer declined to comment on the specifics of the case. 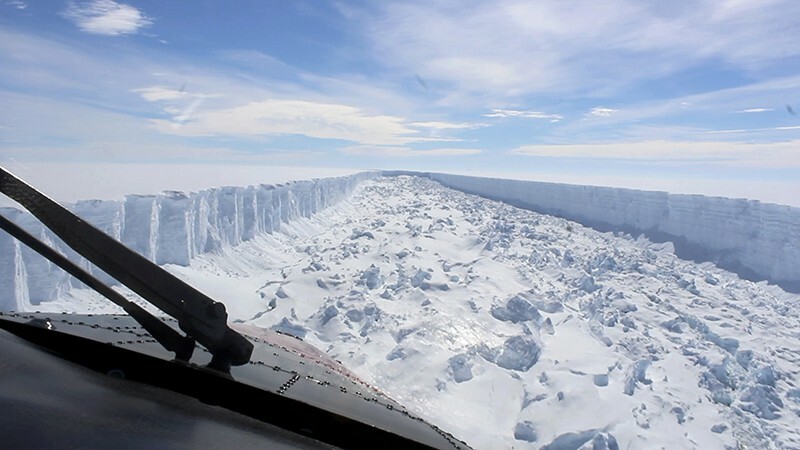 In November, after a 13-month investigation, Boston University in Massachusetts found that geology professor David Marchant had sexually harassed a graduate student during a field expedition to Antarctica in 1999–2000. (The former student waited until she had tenure at another university before filing a complaint.) The US House of Representatives Committee on Science, Space and Technology is also investigating the reports because Marchant receives federal research grants. Marchant, who denies the charges, has appealed against the findings, according to his attorney. He is on leave from the university. Not content with having beaten the world’s best players at the ancient game of Go in 2016, the artificial-intelligence powerhouse DeepMind outdid itself in 2017. The London-based company, owned by Google, revealed on 18 October that the latest version of its Go-playing bot, AlphaGo Zero, beat its predecessor 100% of the time. The old version had trained mostly by studying the strategies of expert human players, but the redesigned AlphaGo Zero learned the game entirely by trial and error, playing against itself. It took less time to train — 40 days versus many months — and required one-tenth of the computing power to run. DeepMind says that similar techniques could help researchers with demanding computing tasks such as predicting how proteins fold. Quantum computers also logged progress this year. IBM, Google, start-up companies and academic labs have been racing to build a machine large enough to perform calculations that elude conventional computers. In March, IBM announced the first commercial quantum-computing service that will enable customers to practise on a working quantum machine. The company says it will have a 20-qubit system ready for clients by the end of 2017.